Hafa Adai! Welcome to Tamuning! Bordered by Tumon and Hagatna, Tamuning (the “downtown district” of Guam) is located in the central part of the island. The village is one of the busiest villages on the island. Some may not even call it a village because it is more of a city, due to all the activity in the area. This central location provides its residents many conveniences. Tamuning is centrally situated between Anderson Air Force Base in Yigo and the U.S. Naval Station in Santa Rita. It will take you about thirty minutes to get to either location from Tamuning. The traffic is steady throughout the day but can become grid-locked during rush hours. These rush hours are usually only during lunch hours and at the end of a work day. Guam’s main highway, Marine Corp Drive or Route 1, runs straight through the village allowing residents to get to places with minimal hassle. The village of Tamuning is a bustling community with a population of around 18,000 residents and is a major residential and commercial area of the island. The balance between residential properties and commercial businesses is very good. There are many condominiums, apartment complexes, and residential homes spread throughout the Tamuning area. Most of the commerce of Tamuning is found along the main roadways while the residential areas are everywhere else. Homes in this area are commonly close in proximity to each other. Most homes in Tamuning have small yards. The village provides a range of residences from affordable apartments and simple homes, to beach front homes condominiums, and even executive style homes. Tamuning is known for convenience. Everything in this village practically minutes away. There are many restaurants where you can treat yourself and the family to a great meal, there are multiple grocery stores for you to purchase your supplies, department stores, gas stations, the Guam Memorial Hospital, Island Cancer Center, many health clinics, banks, stores, schools, and parks. Plus, almost all the roadways in the village are accompanied with sidewalks, making it ideal for outdoor jogging or taking a walk around town. The village also plays an important part in the island’s tourism industry. Aside from all the shopping and dining opportunities the village already provides, the village is also home to a few hotels. These hotels not only service the island’s visiting guests but also provide services that the local residents enjoy. For a weekend getaway, the 5-star Sheraton Laguna Resort is complete with its own infinity pool that overlooks the Philippine Sea while its neighbor, the Onward Beach Resort provides a large water park. Within the village there are many places to see and explore. Tamuning is home to the Guam Premiere Outlets (GPO). This is one of Guam’s most popular shopping destinations. Here you will find a variety of retail stores, a food court, and a movie theater. Down the road from GPO, the village is also home to the world’s largest KMART. The village definitely does not fall short of providing ample shopping opportunities. For those who want to cool down from the island heat may want to stop by Guam’s largest water park, the Onward Beach Resort & Water park; complete with a wave pool, a lazy river, Jacuzzi, slides, baby pool and the notorious “Manta”. The area also offers a public basketball gymnasium and a series of tennis courts at the village mayor’s center. The coastline of this village presents great opportunities to enjoy Guam’s beautiful turquoise waters and all the ocean activities. If you are interested in the island’s nightlife, Tamuning is definitely host to some of the island’s most popular social scenes. Even though Tumon is said to be the heart of the island’s nightlife, Tamuning is perfectly positioned in the center of all Guam’s nightlife fun. You sure won’t have any problems getting to the party. 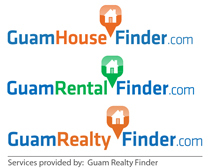 Tamuning is a great place for you and your family. There is always something new happening in the village and there is always something to do. It is the hot spot for business owners and city dwellers. With everything just around the corner, how can you go wrong? We hope to see you soon in Tamuning!